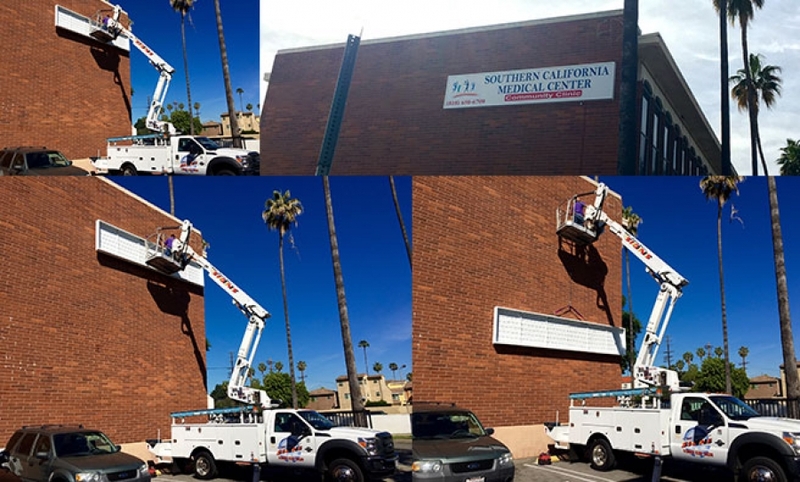 Hi-Tech Signs In L.A by providing the most Hi-Tech and highest in technologies equipment to its personnel , create an environment that most jobs that are hard and challenging for others become easy and comfortable to do . Installing a 5’ x 25’ long cabinet sign at 30’ height usually takes 2 trucks and 3 men for many companies. At Hi-Tech Signs in L.A , One man can do this job alone . Not that only this matter help our company to save time and man power , it will help our customers to pay less for a quality sign made and installed by Hi-Tech Signs in L.A.